A beautiful modern dulhan is incomplete without her stunning mehndi designs. Are you looking for the ultimate dulhan mehndi designs in 2014? 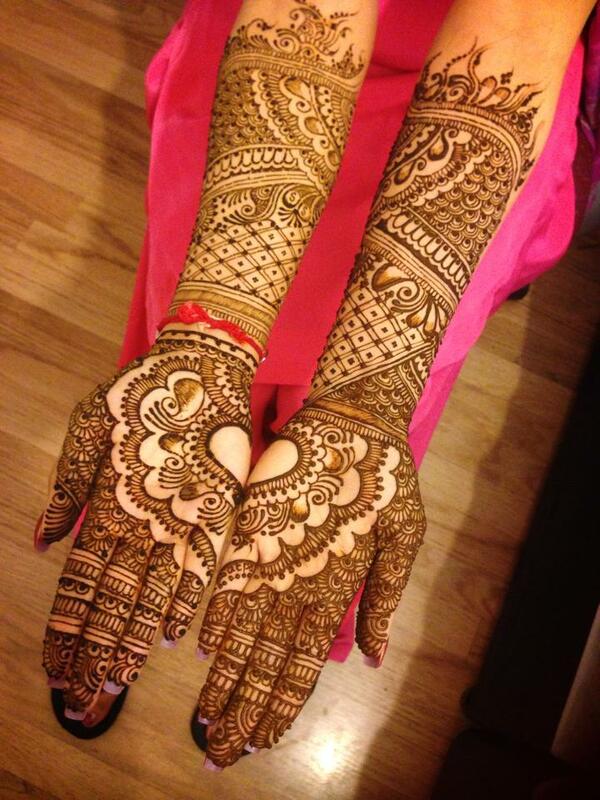 We have handpicked mehndi designs for a bride-to-be. Mehndi is one of the dulhan’s best accessories. When worn all the way up to your elbows, with your shaadi ka joda and all your jewellery, it works to enhance your look and lend it a certain grandeur. Don’t shy away from mehndi because you think it’s traditional or boring, there’s nothing like a full hand of mehandi when it comes to making a statement as a dulhan. We have handpicked 25 of the best dulhan mehndi designs for brides out there, so you can pick the one that suits you the best! You can opt for mismatched designs of mehndi if you are feeling adventurous. The basic outline of your mehndi design remains the same, but the detailing on each hand is different. Although most brides prefer to keep the tips filled, as tradition dictates, you can choose to keep them empty especially if you are going to be flaunting a french manicure. The filled tips clash with french manicures and takes the attention away from your hands. You could also try a cris-cross design along your fingers, which we absolutely adore. Another option you could explore is letting the design naturally progress to your finger tips without breaking it. This will give the illusion of filled tips, without the usual boring blackened ones. Some brides are leaning towards the trend of mehndi designs which look like mirror images. They look gorgeous with every garment, in case you are wondering. The design motifs are exactly inverse on your hands, making them look unique, yet part of a pair at the same time. For those of us who are inclined towards bling, some of the latest designs are the perfect ones for you. Infused with a little bit of color,some glitzy stones, this makes for the perfect bubbly dulhan. The best part is, you can get the mehndi on your feet to coordinate with your hand’s bling designs. Lots of brides these days are leaning towards Arabic mehndi designs. It looks totally glam, and gives your hands a lot of space to breathe. It’s a great idea if you are already going bling on your jewellery and make-up. Give this option some consideration, if you have a lot of events planned after the mehndi ceremony. Arabic mehndi designs will work best with all types of garments for all your occasions. Going full and cramped with your mehndi is no longer necessary. With geometric influences, and elements of traditional mehndi, some designs look gorgeous even though they leave some parts of your hands bare. Sometimes, less is more! 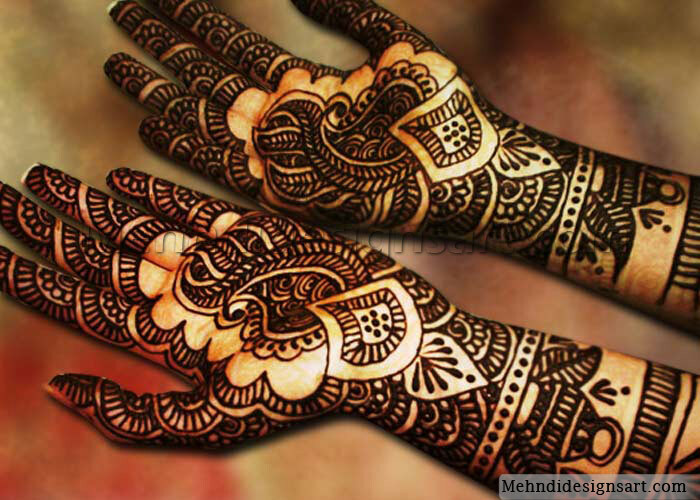 Check out our mehandi designs and take a pick!